TRD injects a little more performance and tech into Toyota's 86. There aren't a ton of new sports car options currently available from Japanese vehicle manufacturers, and of the bunch, even fewer fall into the average Joe's tax bracket. Toyota, having introduced FR-S under the Scion banner in 2012 in a joint effort with Subaru, which launched the BRZ at the same time on the same platform, is trying to keep an affordable, sporty option within reach of you and I. 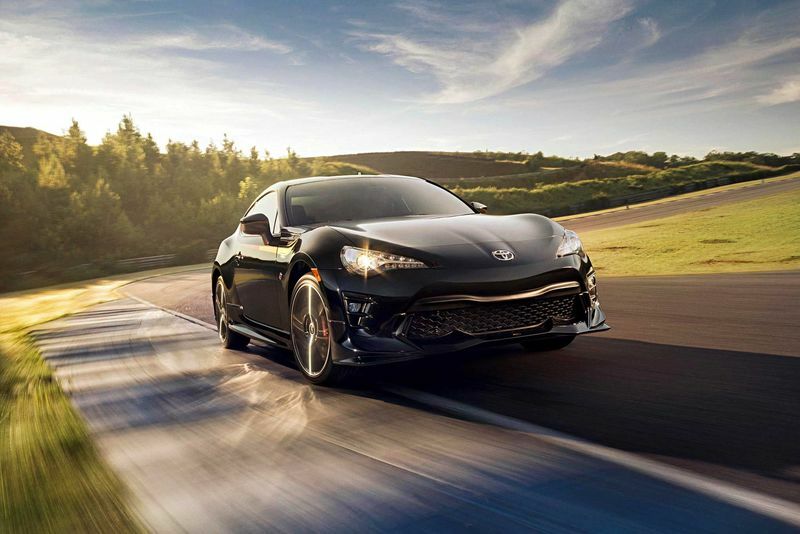 When Scion was shuttered in '16 and the FR-S seemed to be on the verge of being written off by some, Toyota promised to bring it back under its own banner, using the 86 badge – something that had already been done throughout the rest of the world. Having garnered quite the following in the U.S., 86 fans were no doubt relieved, and now Toyota wants to spice things up a little bit with the sporty RWD coupe. Before you get too excited, no, the turbocharged engine you've been vehemently banging your keyboard on the desk about is not on the horizon. However, the brand's TRD group has stepped up to offer potential 86 buyers a little more with their TRD Special Edition model. Rather than throwing more power at the nimble coupe, TRD adds more balance in the form of 18x7.5-inch wheels with sticky 215/40 Michelin Pilot Sport 4 tires and a full set of SACHS dampers to help improve steering response even further while also refining the car's stability. To help slow things down, they've added a set of 4-piston Brembos up front, and 2-piston versions out back. In the engine performance realm, the only upgrade being added is a TRD exhaust system. In the appearance department, however, a new TRD aero kit that consists of a front bumper, side sills, rear bumper and diffuser combo and a spoiler are slathered in an exclusive paint colour known as Raven and accented by TRD's tricolour livery. Inside the cabin, the TRD Special Edition features a 4.2-in. TFT Multi-Information Display that gives the driver a view of the integrated G-Force meter, stopwatch, power and torque curves, coolant and oil temps, as well as fuel consumption. In an industry that has unapologetically moved away from manual transmissions, the 86 keeps the driver in touch with its 6-speed manual and ball bearing-mounted shift linkage that features a reverse lockout protection. So unfortunately for the diehard 86 fans, there is hardly any performance upgrades, however, the TRD badge and cosmetic changes all come together to make this special edition one to stand out from the crowd.